sincerely invites you to join us at PROPAK VIETNAM 2019inHo Chi Minh cityduringMar. 19th to 21st, 2019.We specially demonstrate our advanced Slitting Machine and have more business communications with you. Welcome to visit us at D27, D28, Saigon Exhibition & Convention Center (SECC). 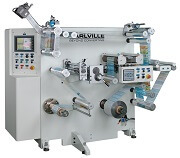 We are specialized in manufacturing of "Flexible Packaging Converting Machinery" since 1988 in Taiwan. We have built Webcontrol as a reliable and valuable brand in the market as well as won recognition by customers located in over 60 countries around the world, such as Indonesia, Thailand, Vietnam, Europe, U.S.A., Malaysia, India, Singapore, and so on. 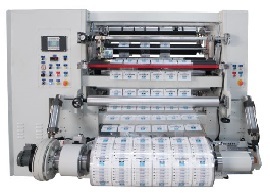 Slitter and Rewinder for Primary / Secondary application, which are capable of slitting various types and qualities of flexible packaging substrates with high precision slitting. Inspection Rewinder machine connected with Camera inspection system for 100% printing quality control, and high speed Punching System for option. Full line for shrink sleeve converting - Seaming, Inspection, Cutting machine, which make us a world leader and had 1000 units installation so far.